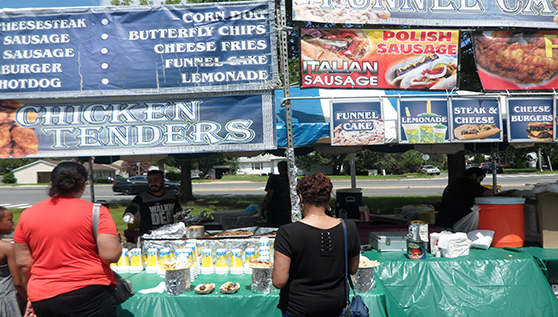 Thank you to the more than 4,000 people that attended the Festival August 4, 2018! August 3, 2019 – 11 a.m. – 6 p.m. 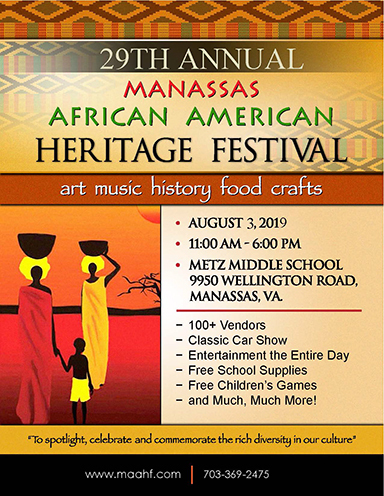 The African American Foundation of Prince William County is proud to present a family friendly celebration of African American arts and culture at Metz Middle School. 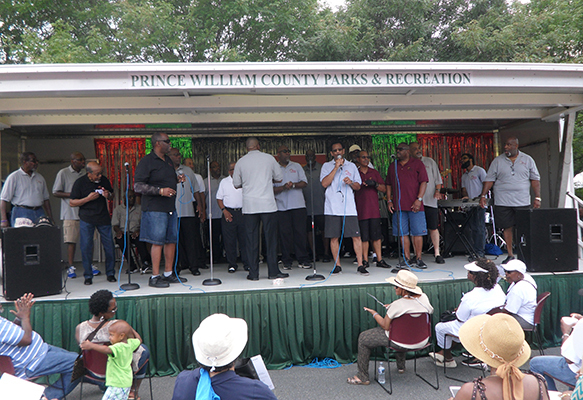 For the past 28 years, the first Saturday in August has marked the African American Culture Arts Festival in Prince William County. 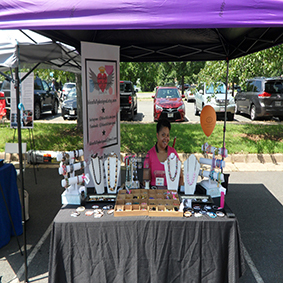 Over the years the festival has grown to include more than 125 exhibitors, including arts and crafts dealers, retailers of African Wares, youth groups, colleges and school exhibits, Health Fair, Business and Job Expos, Classic Car Show and great food vendors. Take 95 North. Exit onto Prince William Parkway, follow until it intersects with Liberia and Wellington Road. At the light, continue straight. You are now on Wellington Road. Metz Middle School will be on your left. Take I-66 West to Route 28 South exit. Follow Route 28 South to Liberia Ave. Make a left onto Liberia Ave. Travel down to Wellington Rd. Follow Wellington Road. Metz Middle School on left. Follow Route 28 South to Liberia Ave. Make a left onto Liberia Ave. Follow Wellington Road and make a right. Metz Middle School will be on the left. Please feel free to bring your own Lawn Chairs to the festival, if you’d like a seat near the stages. Of course, we welcome everyone to get up and dance! Parking spaces are available on the East & West side of the building. Want to be a volunteer? The Festival needs you! 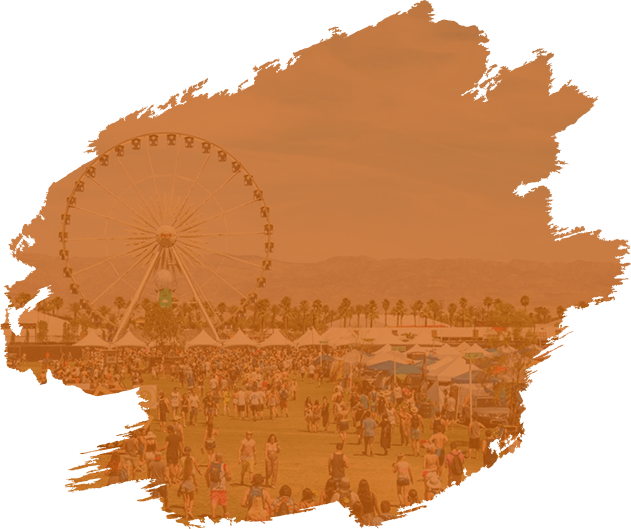 Please come to the festival check-in tent, located across from the show mobile during the festival, and we will place you where you will be most needed. 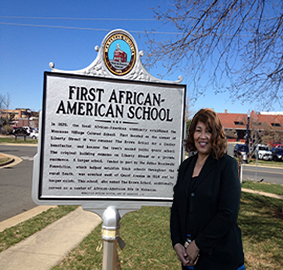 Is your company interested in supporting the Manassas African American Heritage Festival? COPYRIGHT (C) 2019 AFRICAN AMERICAN FOUNDATION ALL RIGHTS RESERVED.